New Age Buchla euphoric shimmer segues into at least a handful of classic Cafe Del Mar references; the Noir scores of Mark Isham, Eric Serra`s “Nikita”, Zeus B. Held & Pete Wylie high on rocks, the precision mechanism of Richard Wahnfried`s “Grandma`s Clockwork”, and Vangelis eavesdropping on “The City”. The whole LP lapping in and out like the tide, House beats dissolving into ambience. UFO SFX. Machines mimicking dolphins. The title track effervescing in a 10cc sheen, lacking only a whisper of “Big boys don`t cry”. “Starways” kinda sambas on seashells (remember Da Lata`s rework of Luciano?). Guitars are borrowed from Japanese Fusion, while the overall sound is defined by the serenade of a Mediterranean sax. Sax in the twilight. Surfacing, submerging, again like a soundtrack. A theme reprised. The closing cover of Paula Moore`s “Valparasio” could be The Blue Nile on `ludes, in Dub. 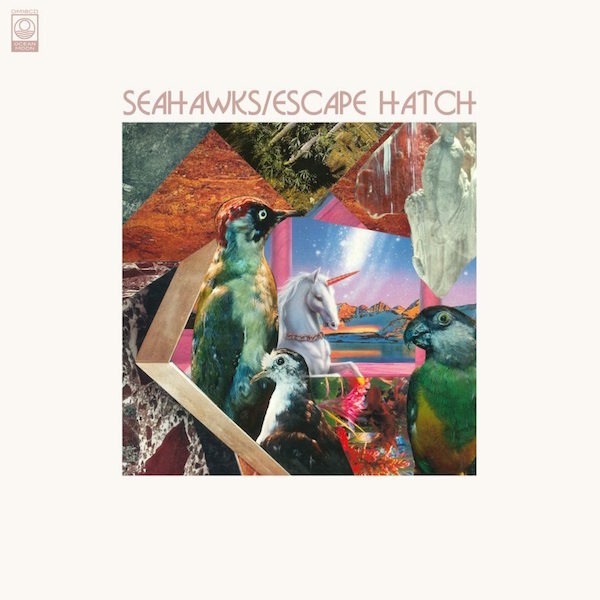 Seahawks` fourth studio album, “Escape Hatch”, gets a full release on Monday but can be found at selected outlets today.